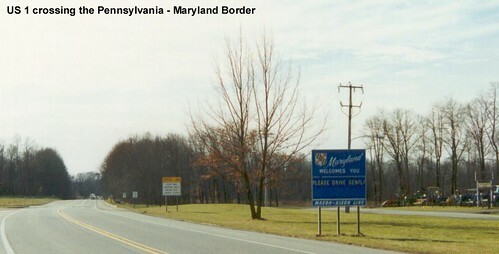 US 1 crossing the Mason-Dixon Line as it leaves Pennsylvania and enters Maryland. 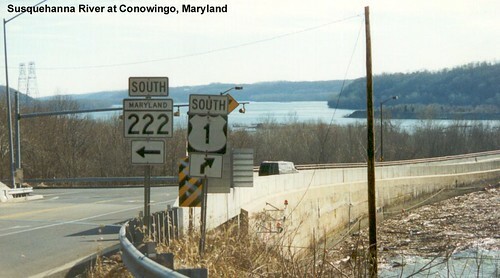 US 1 crosses the Susquehanna River via a dam. 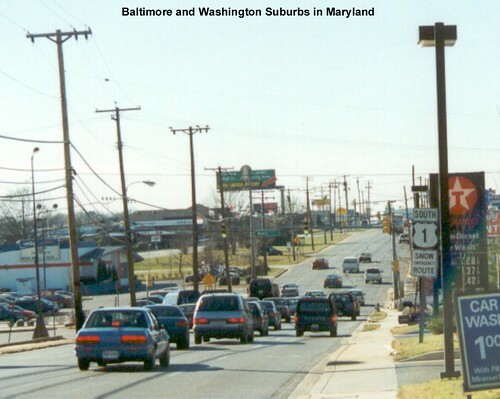 This intersection in Harford County has changed dramatically since this picture was taken. 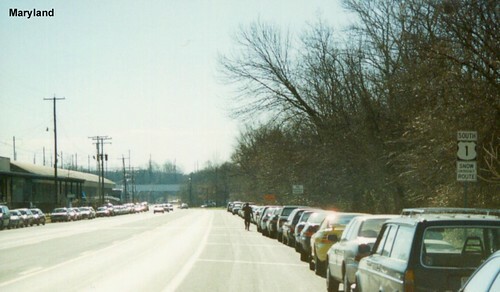 MARC commuters line the side of US 1. 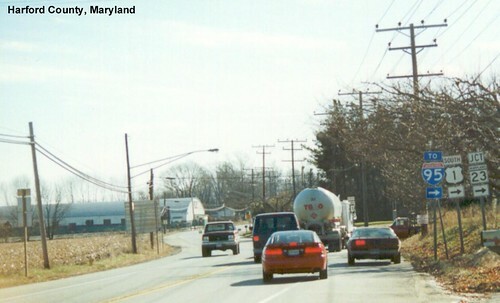 The northbound and southbound roadways split through Laurel, Maryland.